Be still and know that I am God. Psalm 46:10 is one of the most quoted bible verses of all time. There are plaques, pillows, t-shirts, large posters to hang on the wall all adorned with this verse. I personally really love this verse. I started to look into this verse a little more to better understand what it means to be still. I loved what I found. The three key phrases that really stood out to where: He says, Be still and Know. He says. God is the one speaking here. He has all authority over heaven and earth. God’s voice is what is breaking through as He addresses the nations. When God speaks, we need to stop and listen. Be still. 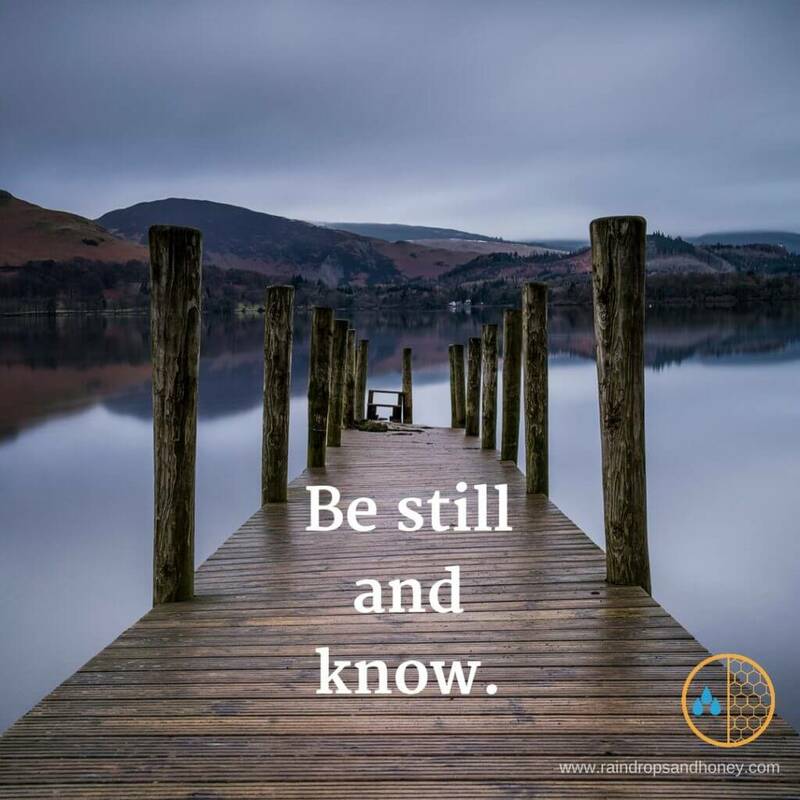 According to the NIV Study Bible, the Hebrew for the phrase “Be still” probably means “Enough!” How often does God say this to us? We start to worry, fear or doubt when we are going through a tough time. God doesn’t want this for us. He wants us to pay attention to Him. Enough worry and fear. Enough doubt. Enough. Put your eyes back where they belong. I love the Message version of this verse which speaks to this point. “Step out of the traffic! Take a long, loving look at me, your High God, above politics, above everything.” We need to Be still and take a long, loving look at God. The last phrase that stands out to me is Know. To know means to acknowledge. We need to acknowledge in this moment that God is God and He WILL be exalted in all the earth. He will use whatever situations in our life we are going through for His good and His glory. God’s mighty acts in our lives point back to Him. He says, Be still and Know. Three simple but very profound phrases. In what ways do you need to listen to God? What area of your life do you need to be still? What area of your life do you need to acknowledge that God is God and He will take care of you? Heavenly Father, please teach me to be still and completely trust You. I want to listen when You speak. Teach me what it means to take a long, loving look at You. Instead of doubt or fear, I want to be still before you and trust that You know what you are doing. I want to acknowledge that You are work in my life even when things seem like they are falling apart. Thank You Jesus. I love You Lord. In Jesus name, Amen.